Is there Insurance that Covers Substance Abuse Treatment? There are a few ways to pay for addiction rehab using insurance, such as using public insurance, private insurance, or group insurance. Plans can vary greatly with each offering different benefits, so it's important to call your insurance provider to learn more about your individual plan. (Please note: Rehabs.com strives to provide you with the most updated information on each carriers' addiction insurance coverage but policy changes and errors do occur. Please check with your insurance carrier directly to confirm coverage levels. Rehabs.com is an informational site only and is not affiliated or sponsored by any insurance provider). Insurers take responsibility for covering the cost of addiction treatment because they recognize the pervasiveness of the issue and the health impact of chronic substance abuse, which can have psychiatric or physical effects throughout a person's lifetime. Insurance firms' revenue comes when consumers are well. Health insurance firms may struggle to be profitable when consumer health declines due to chronic, untreated issues such as substance use disorder. 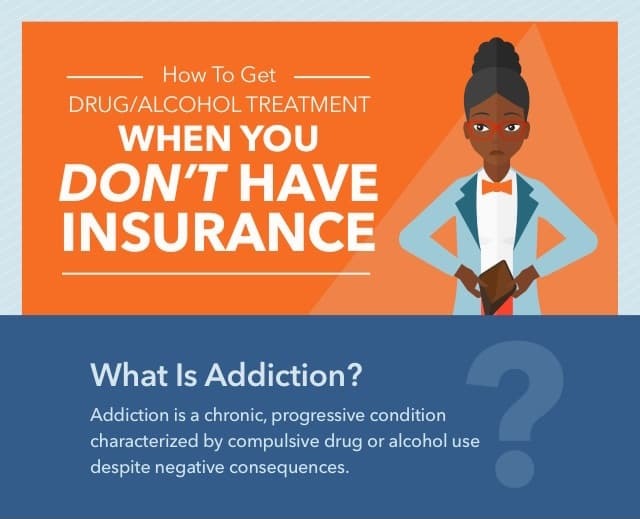 There are several insurance options that are available to people seeking treatment for their addiction to alcohol, drugs, or certain behaviors. Public and private health insurance frequently cover a portion of the expense of outpatient or inpatient treatment for nearly every type of addiction. Nowadays, insurance firms have come to understand that addiction is a treatable condition. Insurers take responsibility for covering the cost of addiction treatment because they recognize the ill effects of chronic, compulsive drug and alcohol use, which can cause psychiatric or physical consequences down the line. They are now required to cover behavioral and mental health conditions, including addiction, to the same extent that they do medical conditions, such as heart disease or diabetes. This is an important and positive step made in favor of those who need help getting sober. When you need help figuring out how your addiction treatment will be covered according to your insurance policy or if you want to find a program that is wholly or partially covered by your insurance plan, you may contact your health insurance provider. Insurance coverage for addiction rehabilitation is an important concern nowadays because the cost of treatment is not cheap. Sliding scale: Find a facility that offers reduced pricing based on your income level. Payment plans: Find a program that will allow you to pay off treatment in monthly installments. Rehab scholarships or grants: Individual rehab programs, as well as larger government organizations, such as the Substance Abuse and Mental Health Services Administration (SAMHSA), may offer scholarships or grants to help you pay for treatment. Credit cards: If you have good credit, you may be able to pay for treatment using credit cards. Loans: You may take out private loans, including home equity and personal loans. Crowdfunding: Websites, such as GoFundMe and YouHelp, allow you to raise money from donors. For people who are uninsured or underinsured, one option is to see if they qualify for public insurance under the federal Medicare or Medicaid programs. Visit healthcare.gov to learn more about how to qualify for these insurance programs. If you are able to obtain coverage, you can then check the policy for more information about what mental health treatment services are covered, including addiction treatment. Not all rehab facilities accept Medicare and/or Medicaid, so it's important to check your policy or with the treatment center directly to ensure you're covered before enrolling. A few treatment facilities are partially or entirely subsidized by the government, and these facilities accept state or federal medical insurance plans for full or partial payment of services. However, specific income guidelines are put in place for these plans, so clients should check with the rehab facility they are planning to enroll in or the right public insurance agency to determine if they are qualified. In cases where drug rehab options are not practical or not available, there are nonprofit organizations providing rehab services using economical monthly installment schemes. Payment may continue long after rehab has been finished, making each payment as minimal as possible. You may evaluate your insurance plans with the assistance of your insurance agent, insurance provider, or your employer's benefits department. Should you need help locating an addiction rehab program that is included in your insurance coverage or that is somewhat affordable, call us today. We can help you find a program that works with your insurance and your budget. Private insurance will likely cost more than public insurance, yet the array of healthcare options available to you is more comprehensive than what is provided by a government-supported insurance plan. More options: You can choose from a large number of alcohol or drug rehab centers of your liking if you have private insurance, and this is likely covered by your insurance package. Price: Private drug rehab insurance plans can pay a significant portion of your treatment cost. This is a factor of your deductible; however, in a general sense, you will have to spend very little in out-of-pocket expenses. 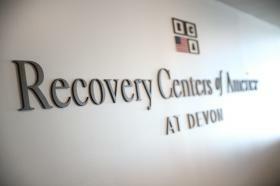 Inpatient drug or alcohol rehab: These types of rehabilitation programs get the individual in need of treatment out of a dangerous environment and place him or her into a facility for an extended stay to focus solely on recovery. High-end alcohol and drug rehab: This type of treatment offers patients the chance to take advantage of luxurious amenities while undergoing detox and counseling. These amenities may include fine cuisine, private rooms, fitness instructors and some other services. You will definitely have to pay more out-of-pocket expenses for this. Holistic treatment approach: This form of treatment often provides conventional Eastern practices in conjunction with more traditional treatment approaches. Holistic treatment may include acupuncture, yoga, and herbal treatments. Before considering entering into any drug or alcohol rehab program, you'll want to confirm whether that program is covered by your insurance. You don't want to be in a situation where you have prepared everything and you are completely ready for treatment only to find you need to shoulder all the treatment expense. A few patients prefer to hide their drug rehab enrollment from their employers; however, some situations deter them from doing so. Instead, they would need to consult with their employers to determine if they have provided drug rehab insurance for them. This will be the case when their addictions are serious enough. Some employers may offer to pay for drug rehab. Other employers may provide continuous payment even if the worker is gone or provide half payment in place of sick days when the employee is undergoing drug rehabilitation. Most employers provide assurance that employees will have a job to return to once they finish their treatment. Several group insurance packages include provisions for addiction rehab. Most people with an addiction find it hard to take advantage of benefits they are entitled to due to shame or fear of losing their job. The Mental Health Parity and Addiction Equity Act of 2008 mandates health insurance companies to provide equal coverage for addiction treatment and other medical needs. This law extends treatment coverage to approximately 100 million employees, provided that the group plans contain current terms for psychological health benefits. These funds, when made available, usually cover plans for detox, individual and group outpatient support, residential hospitalization, and long-term inpatient treatment. Do you cover detox or medical detox programs? To what extent? Do you cover outpatient services? To what extent? Do you provide coverage for inpatient treatment? To what extent? Do you cover prescription medications for treatment of substance dependence? How many days of treatment do you cover? Do you cover specialty programs? These questions can help guide your search for the appropriate rehab for you.